"Champagne and cocktails. Babe if I don't answer my phone tonight, just know am passed out. Am with my gal Zozo...mummy needs this," Zari noted. The mom of five is nursing a serious hangover after partying the whole weekend with Harare slay queens. 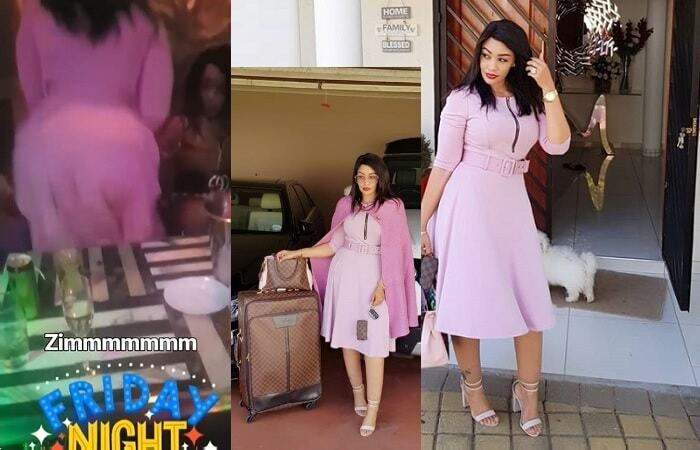 Zari spent the weekend dancing, dining and wining on all tribes of booze that left her spending most of her valuable time in bed. No doubt, Zozo, one of those curvy babes in Harare has treated our gal just right and she is happy, but the hangover seems to be her worst nightmare just right now. As the gals were partying, there was a shortage of the male gender as the babes took over all the corners cheering Zari, who seemed to enjoy every moment by virtue of her dance moves. 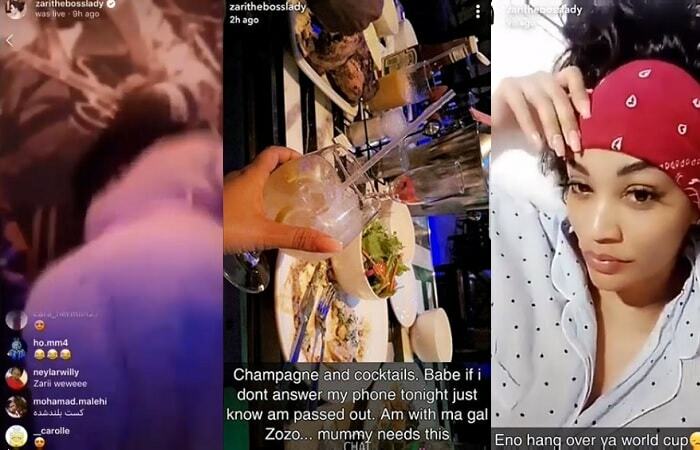 Still on the shortage of the male gender at the hangout spots where Zari spent her weekend, her baby daddy and ex-lover, Diamond Platnumz who could have been in her company had their affair, not taken a nosedive, was back home appealing to all the young lads to use protection if they had to "lose temper." In this way, you would avoid unwanted pregnancies and STDs recalling what he went through last year.